Dr. Forrest Lanchbury is board certified in Anti-aging, Regenerative and Functional Medicine through the American Academy of Anti-Aging Medicine. He has also completed board certification in Obesity Medicine and is committed to preventing, treating and reversing the disease of obesity using natural methods and pharmaceuticals only when necessary. 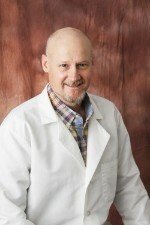 Dr. Lanchbury began his career as a veterinarian, earning his DVM from Kansas State University before continuing his education at Uniformed Services University of Health Sciences in Bethesda, Maryland where he also completed an internship in surgery. He practiced in the US Army before working in rural facilities in Montana and Bowman, ND. He pioneered the first adult stem cell treatment program in North Dakota.